3. 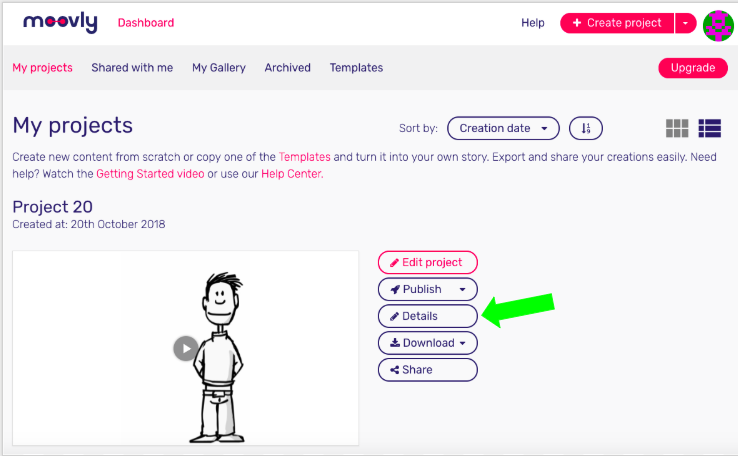 When your project is published on the Gallery, you'll see the text "This project is available on the Moovly Gallery". Click on Unpublish to remove your content from the Gallery. Your content will immediately disappear from the public User Gallery.